Below is a short introduction followed by the excerpted words of Robert F. Kennedy, from speeches he gave during the final months of his life. obert F. Kennedy was assassinated fifty years ago at the Ambassador Hotel in Los Angeles while celebrating his victory in the California primary for the Democratic presidential nomination, in early June, 1968. “Bobby” was the senator from New York and before that the Attorney General in the presidential administration of his older brother, John Fitzgerald Kennedy. 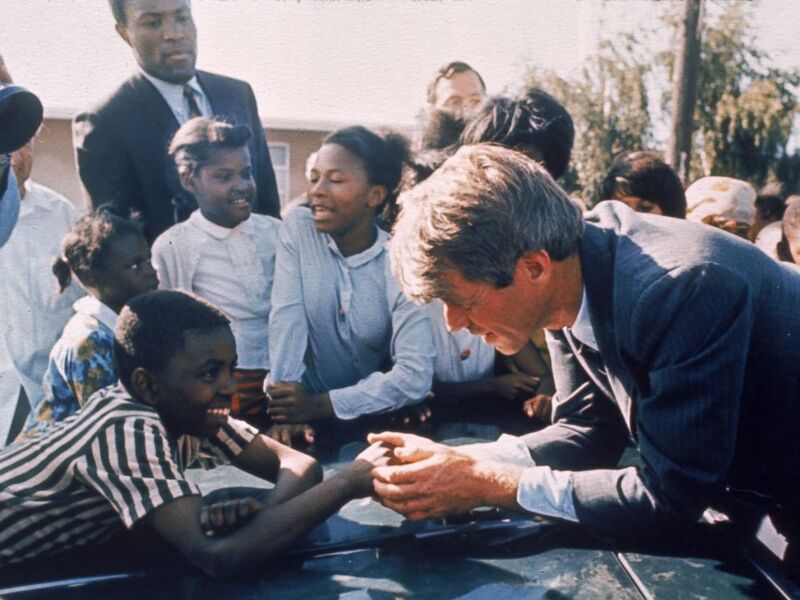 In the eyes of many, the Bobby of the 1968 campaign was, to use the epithets of an admiring biographer, a “tribune for the poor, a racial healer, and the last progressive knight.” This was not far from the mark in 1968, but it had not always been the case. Early in his career Kennedy had garnered a reputation as a bare-knuckled Cold Warrior and ruthless campaigner, and worked for a time for the redbaiting Joseph McCarthy. Like his brother, he hesitated on the emerging Civil Rights movement and, with his brother, laid the seeds for escalation in the Vietnam War. Yet he resigned in protest from his work with McCarthy; he became a celebrated advocate for racial justice; he would eventually come out against the Vietnam War. Inevitably part man and part myth, Bobby the icon of American liberalism was a progressive crusader forged in a crucible of paradoxes: he walked with Presidents in the halls of power but also with labor activists for the rights of impoverished immigrant farmworkers; he was a man of means who advocated for the poor; a white man who gained the respect of African Americans; a deity for dejected citizens, who wrestled with the country’s inherited flaws but also insisted on a new space for aspiration. No one can say what might have happened had RFK lived. But his death marked a distinctive end to the hope and optimism that launched the decade. Many believed that the most visionary and compassionate leaders the nation could produce had all been killed by the end of 1968 – JFK (1963), Malcolm X (1965), Martin Luther King Jr. (1968), RFK (1968) – and gave up on political engagement altogether. On a deeper level, Bobby Kennedy is not an end but an entry point into to a progressive tradition eclipsed in the memory of most Americans. His language offers a window into a moral vocabulary and constellation of commitments that have atrophied since the nineteen-sixties, and exploring it is compelling not to satisfy nostalgia but to take up the mantle of its future expansion. Kennedy existed in a political universe whose center of gravity was still the New Deal and the Progressive movement born at the turn of the twentieth-century. Today we exist somewhere at the opposite pole of that world, where market-tested values know only taxpayers and not citizens, self-enrichment and not community, profit and not politics. If there is hope for a renewed progressive movement, it lies in part in recovering a protest vernacular within our own history, one founded on the substantive tenets of economic fairness, an end to military adventurism, and an ethic of communitarian responsibility. Speaking in these terms now would not only be to counter the hollow status quo and the theater of the absurd that currently dominates national life. It would also be to summon a massive shift in the political imagination of American citizens, one in which the basic promises and participatory spirit of the New Deal re-enter the stage of political possibility. If an older generation left progressive politics after 1968, recent months have revealed a new generation ready to pick up the pieces. Reading RFK’s speeches in college – “that was my jam,” said Alexandria Ocasio-Cortez to the New Yorker, naming him as a hero. Her upset win has inspired progressives across the country and her sincerity is a refreshing antidote to millennial ironists and spectating cynics. 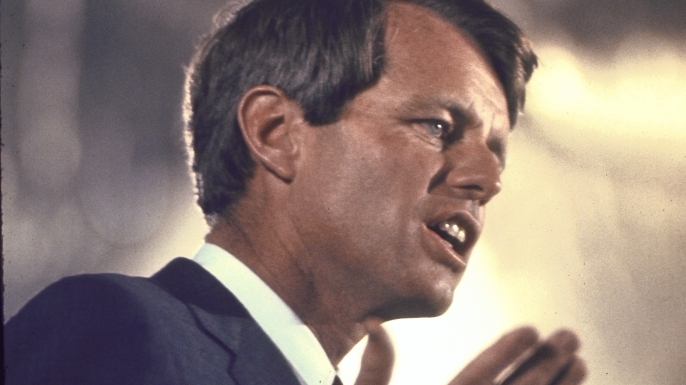 Hearing an RFK speech today, ordinary wisdom might remark: no one talks like that anymore. What if they did? Bobby’s words sound in the hearts of those who knew him with sorrow; rightly so. We the young hear a distant and future harmony. Too much and for too long, we seemed to have surrendered personal excellence and community values in the mere accumulation of material things. Our Gross National Product, now, is over $800 billion dollars a year. But that Gross National Product – if we judge the United States of America by that – counts air pollution and cigarette advertising, and ambulances to clear our highways of carnage. It counts special locks for our doors and the jails for the people who break them. It counts the destruction of the redwood and the loss of our natural wonder in chaotic sprawl. It counts napalm and counts nuclear warheads and armored cars for the police to fight the riots in our cities. It counts … the television programs which glorify violence in order to sell toys to our children. Yet the gross national product does not allow for the health of our children, the quality of their education or the joy of their play. It does not include the beauty of our poetry or the strength of our marriages, the intelligence of our public debate or the integrity of our public officials. It measures neither our wit nor our courage, neither our wisdom nor our learning, neither our compassion nor our devotion to our country. It measures everything, in short, except that which makes life worthwhile. And it can tell us everything about America except why we are proud that we are Americans. Listen to the full speech here. If there is one overriding reality in this country, it is the danger that we have a erosion of a sense of national decency. Make no mistake, decency is at the heart of the matter. Poverty in this country is indecent. Illiteracy is indecent. The death or maiming of brave young men in the swamps of Asia [fighting the Vietnam War] – that is also indecent. And it is also indecent for a man to work with his back and with his hands in the valleys of California without hope of ever seeing his son enter a university. That is also indecent. It is indecent for a man in the streets of New York, in Oakland, in Detroit, in Watts, to surrender the only life that he will ever have to despair. It is indecent for the best of our young people to be driven to alienation and flight to the terrible exile of drugs and violence, to allow their hearts to wither in rage and with hatred. There is difficulty and division in our land today, but in the last six days, I have been to Kansas and to Alabama, to Tennessee, and to my own state of New York, and now I have come to California, and I think there is a stirring of something new in the United States. It is not the creation of any candidate or leader, it is nothing that I have made, but it is a sense that there is a possibility of a different future, that the American people are discovering that they control their own destiny, and that they are going to move ahead, that they are going to make this land as they see fit, and not as it is created by others a thousand miles away. Robert Kennedy with Cesar Chavez. A second purpose of debate is to give voice and recognition to those without the power to be heard. There are millions of American living in hidden places, whose faces and names we never know. But I have seen children starving in Mississippi, idling their lives away in the ghetto; living without hope or future amid the despair on Indian reservations, with no jobs and little hope. I have seen proud men in the hills of Appalachia, who wish only to work in dignity – but the mines are closed, and the jobs are gone, and no one, neither industry or labor or government, has cared enough to help. Those conditions will change, those children will live, only if we dissent. So I dissent, and I know you do too. So I come here today, to this great university, to ask your help – not for me – for your country and for the future of your world ... I ask you, as tens of thousands of young men and women are doing all over this land to organize yourselves, and then to go forth and work for new policies – work to change our direction – and thus restore our place at the point of moral leadership, in our country, in our own hearts, and all around the world. Extemporaneous Remarks On the Death of Martin Luther King Jr. The night MLK was killed Kennedy climbed onto the bed of a flatbed truck and addressed a crowd gathered for a campaign rally in the heart of the city’s ghetto, organized by (now) Representative John Lewis. Indianapolis, where Kennedy spoke, was nearly the only major city that did not riot that night. Robert Kennedy with Marian Wright Edelman (first to his right). For those of you who are black and are tempted to be filled with hatred and distrust at the injustice of such an act, against all white people, I can only say that I feel in my own heart the same kind of feeling. I had a member of my family killed, [and] he was killed by a white man. But we have to make an effort in the United States, we have to make an effort to understand, to go beyond these rather difficult times. So I shall ask you tonight to return home, to say a prayer for the family of Martin Luther King, that's true, but more importantly to say a prayer for our own country, which all of us love - a prayer for understanding and that compassion of which I spoke. Delivered the day after the assassination of Martin Luther King Jr. This is a time of shame and sorrow. It is not a day for politics. I have saved this one opportunity – my only event of today – to speak briefly to you about the mindless menace of violence in America, which again stains our land and every one of our lives. This is the breaking of a man's spirit by denying him the chance to stand as a father and as a man among other men. And this too afflicts us all. I have not come here to propose a set of specific remedies nor is there a single set. For a broad and adequate outline we know what must be done. When you teach a man to hate and fear his brother, when you teach that he is a lesser man because of his color or his beliefs or the policies he pursues, when you teach that those who differ from you threaten your freedom or your job or your family, then you also learn to confront others not as fellow citizens but as enemies – to be met not with cooperation but with conquest, to be subjugated and mastered. We must admit the vanity of our false distinctions among men and learn to find our own advancement in the search for the advancement of all. We must admit in ourselves that our own children's future cannot be built on the misfortunes of others. We must recognize that this short life can neither be ennobled or enriched by hatred or revenge.
. . . I think we can end the division within the United States. What I think is quite clear is that we can work together in the last analysis. And that what has been going on with the United States over the period of the last three years – the divisions, whether it’s between black and whites, between the poor and the more affluent, or between age groups, or over the war in Vietnam – that we can start to work together. We are a great country, an unselfish country, and a compassionate country. And I intend to make that my basis for running over the period of the next few months . . . So my thanks to all of you, and it’s on to Chicago, and let’s win there. 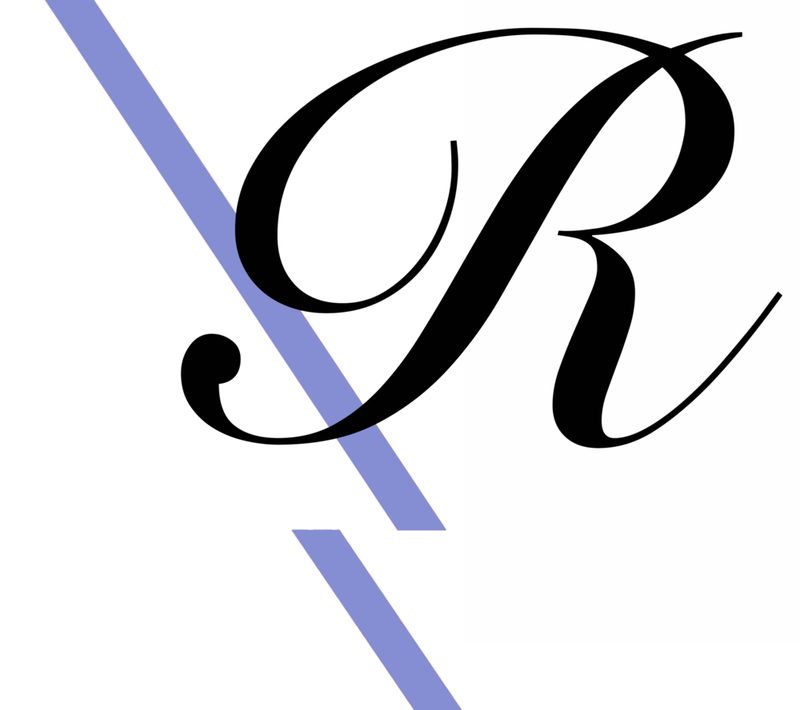 Francis Russo is a PhD Student in History at the University of Pennsylvania and a founding editor of Refraction.